I awoke this morning hoping that it wasn’t true, that somehow, the nightmare of losing my friend of ten years so instantly had just been a dream. But it wasn’t. Fr. Matthew Baker is dead. And I realized that I have to write something about him, to capture for just a moment something of what he meant to me. Promising. Brilliant. Down-to-earth. Genius. Important. Animated. Passionate. These are all words that I have heard used (and myself used) to describe Fr. Matthew. Although it always seemed a little silly, I was one of those who said out of his earshot that he was someone that people would be hearing about if they hadn’t already. Even though his list of degrees didn’t quite include one of those “Ds,” he was already one of the best scholars that Orthodoxy in America had seen in a long time. Not only did Fr. Matthew do all his homework when it came to understanding what he was talking about on any given subject (from physics to klezmer to, yes, Patristic theology), but he somehow knew how to synthesize nearly any subjects together. We used to joke that we could say something like, “Duran Duran, GMOs, and Apollinarianism—go!” and he could come up with authentically deep links between them. He was someone for whom the world was not a series of subjects, but a single logos. Comparisons were made easily between him and Fr. Georges Florovsky, his own favorite subject of study and a man on whom he really had become perhaps the foremost expert. He was also the guardian of many of Florovsky’s personal effects (including his Republican Party membership card!). Like Florovsky, Fr. Matthew engaged the world in terms that it would understand, whether it was in philosophy, theology, history, politics, science or even popular culture. He never was content to remain in the ghetto of the safe list of books everyone is “supposed” to read in the Orthodox Church—though of course he had read them all, including the ones everyone says that they should read but don’t. Like Florovsky, he was actually engaging with philosophy and theology and issues that are the major concerns of the modern world but in many ways have still only just begun to be noticed by Orthodox cultures as they awake from their centuries-long slumber. Hearing of his death is shocking, and it made me angry at the loss not just to his family and to his friends, but to Orthodoxy. We needed someone like him, someone who helped us all to see that Orthodoxy is alive and faithful in its tradition, not just as a crystallized set of “answers” to questions that were asked long ago, but still creative, still able to say new things even while being wholly faithful to the old things. Even in the midst of the darkness that seems to become more present in our culture every day, I always knew when I talked with Fr. Matthew that we did not have to abandon the world. I and so many others were always cheering for him as he with his family struggled to get that “D” behind his name so that he could finally be settled somewhere, finally begin a real teaching career, finally be able just to work on and publish what he had dedicated so much to understanding and sharing with all of us. Friends of mine were even conspiring to create a position for him, something uniquely suited to him as a scholar-priest, something uniquely Matthew Baker, something that would not just show him forth as a brilliant scholar and liturgist, but as a real pastor. It was this last side of him that many didn’t quite get to see, though he did just recently begin serving as a parish priest. He loved preaching. He loved worship. He loved talking to people. He loved people. And even though he didn’t have that doctoral degree yet, he was already publishing, already traveling to speak, already bringing his special gifts to bear in a world that needed them. As a Ph.D. candidate, he had finally come so close to finishing up, and all the years of struggle in uncertainty and even poverty were finally about to make some sense. 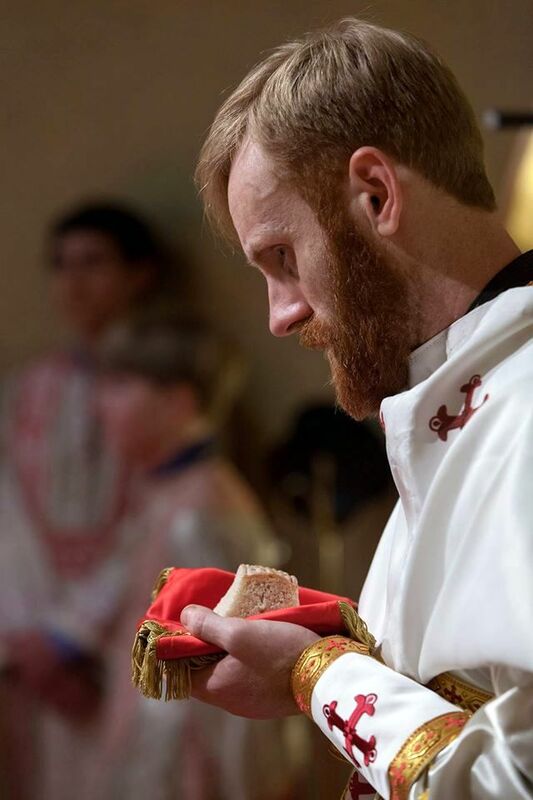 He got ordained just a little over a year ago, and he had finally been given a parish in Connecticut earlier this year, a place to take care of and by whom to be taken care of while he finished his studies. Finally. Finally. Almost. And now this. Which I can’t understand. Which I will probably never understand. I want to scream. We shared a backyard in seminary together for two years, which is where I met him. He came to St. Tikhon’s without an undergraduate degree, having spent some time at another Orthodox seminary that just wasn’t a good fit for him and his family. Despite not having an undergraduate degree, he was still accepted into the M.Div. program at St. Tikhon’s (something that is permitted once in a while). I once asked him how he had become so well-read despite not having been to college. He told me that he worked the graveyard shift at a gas station for seven years and just read. Of course, it’s not like he did all his reading in those seven years. He always seemed to have read a few more books almost every week. In that shared backyard for those two years, we would sit and talk long into the night. I graduated, and he went on to attend or live at both the other major Orthodox seminaries—with four in his list, we joked that he had attended them all. And even though those long talks became less frequent as we no longer lived next to each other, they came every so often, sporadically, always on some subject of enormously absorbing interest. There are some geniuses whose genius makes you stand in awe as you gaze upon something you could never do yourself, and you see them as beyond you. And there are some geniuses whose genius opens you up and helps you feel that you can be better, be more, that you can be invited into that same world of light and joy. Fr. Matthew’s genius was that latter sort. He was always inviting you in, always ready to engage. Even though he was probably the smartest person I ever met, I don’t think I ever detected an air of superiority about him. Even while he disagreed with someone (and for good reasons, usually, too), he still loved them and disagreed with the charity that comes of being dedicated to knowledge and not making knowledge some kind of competition of possession. He could be right without needing to be right. He was always a deep well of generosity. He never gave just a piece of himself in conversation—and conversation was his greatest gift to me and, I am sure, to many others, as well. He was always fully in. When he looked at you with his penetrating eyes, you knew he was really there with you. He was not somewhere else. Most of us so often seem to be somewhere else. My conversations with Fr. Matthew were not always about heady theological and philosophical things (though I could never remotely keep up with his knowledge of those things). As I said above, his logos was one, so all those things were always deeply relevant to life. He often counseled me in difficult moments and opened my eyes to light that I just wasn’t seeing. He helped me when I was tempted to despair. I think “he opened my eyes” is something a lot of people are going to be saying about him. How did he do that? How did he do it so often? I don’t know, exactly, but even despite his flaws (which, having lived next to him for a couple of years, I did indeed see), he somehow had a special gift for the Gospel. Our two shared years of seminary were during a difficult time at the school. Scandal swirled around some of the leadership. A culture of suspicion and hardness prevailed in many quarters. He and I and both our wives had a shared sense of suffering and struggle together. We loved each other then and have tried to keep loving each other, despite the distance. When my wife would go to visit them every so often, she usually came home saying that she wanted to betroth our daughter to “one of those Baker boys.” She had one picked out, of course. While we were at St. Tikhon’s together, one of the things I recall that got debated between seminarians was the role of the spiritual father. Some people wanted to turn the role into some kind of guru, someone who must be obeyed in order to have an authentically Orthodox spiritual life. And of course Fr. Matthew understood that it was good to have a spiritual father. And that is how I shall remember him most of all. He was a spiritual brother, a true friend, someone in whom the Triumph of Orthodoxy (the feast day on which he died) had already happened. I will miss you, my friend. I can’t believe you’re gone. It just doesn’t seem fair. I only hope that we who are left behind can bring your spirit with us, that we can also engage and love and go deeper the way that you did. Pray for us as we pray for you. The greatness of spirit which was and remains in the presbyter Matthew Baker is matched by his dear wife, the presbytera Katherine, who now will be raising their six children—five boys and a girl!—without their father, who has joined a stillborn son who himself just reposed a couple of weeks ago. Please consider supporting Katie and their children by going to this site, which has been set up by a trusted friend. And as you remember the soul of the presbyter Matthew and the stillborn child Alexis, remember among the living the presbytera Katherine and their six children. No need for me to write, father. You have done it for us all. Thank you, and may the memory of our mutual friend and brother be eternal! How sad this event is necessary to get us to properly cherish each other. Forgive me for my thoughtlessness in venerating your friendship and our brotherly vocation. This whole event is so heartbreaking and seemingly senseless. You have captured his spirit perfectly here, Father Andrew. Though lacking theological accuracy, I hope he and Florovsky are enjoying a pipe together (whatever a noetic pipe would look like). Memory Eternal. You hit everything right on the head. THIS is Fr Matthew, my dear dear friend, who I will miss incredibly. We NEEDED him. May we attempt to live like he did, think like he did, and sacrifice like he did. Memory eternal! I exchanged with him only briefly, but came away with a sense of admiration and fondness for his person. The world has lost a great light. memory eternal! We will be praying for his family. A beautiful and fitting tribute for him. I only met him once in person, but carried on correspondence with him regularly as we struggled through the editorial process on a journal and a forthcoming book. His ability to maneuver from the scholarly to the jocular to the personal was, and will remain, a great blessing. May his children grow in the grace that their father exuded. May his wife be comforted and know the power of our Lord’s resurrection. May his memory be eternal among the saints. God bless and hold him until we are all reunited again. Prayers for his family and friends. Our encounters with the fabulous Baker boys (and Ellie) were many as we shared the same building for two years at SVS; had many occasions to just sit with Pres. Katie–such a delight. One that remains embedded in my heart, the birth of their 5th, as I helped Katie with her home birth. It was a monumental event, for all of us. I distinctively remember a keen moment with Fr., of course those exchanges happened while doing laundry, of course-our families were always doing laundry! He empathized with us during a real struggle Fr. R and I were facing; he physical ached for us-in all senses of the word. He brought insight and clarity in something that was utterly insane, not because he “had the answers” but because of his genuine love for his brother and sister in Christ. We campaigned to be united in this good and holy fight for families, for one another. We spit, shook and drew blood…it was grand! May his memory be eternal! A great loss to our Orthodox faith! I had the blessing of sharing in the Divine Liturgy and The Sunday of Orthodoxy with Fr. Baker in his new parish yesterday. I left with promise in my heart, grace by his presence and never imagining that he would leave so soon. Love Sustain us, May his memory be eternal!! I agree completely with your statements: a man apart, bristling with energy and wisdom, and ready to unleash it with abandon. I knew him as a teenager, a young man, and his passions were formed around music, another universal form of truth and beauty…and he was indomitable. Wisdom, not merely knowledge. Teaching with patience, not showmanship of his gift. Truly someone you wished to know deeper. Sadly, he will not be leading us in that journey. I will continue to hold him in highest regard. He already has led us and we can continue to follow. Thank you for those beautiful words.May his memory be eternal! He appears to be a man that will indeed be deeply missed by those who had the good fortune to know him. If I could offer the following thought that has helped me when I have lost loved ones. If you had the choice of never knowing Fr. Baker and never feeling the anguish you are going through or never knowing him and thereby experiencing the loss then what would be your choice? Your pain is a testament to the love you had for him and to his life. From the time that Jesus began his ministry the world had him for such a short time but what a world of difference it made in the lives who knew him, those who heard him and the countless that followed throughout the centuries. It is not how much life we have but rather what we do with our lives in the time given us. Fr. Baker made his life as an example to inspire. Let us learn and share as he did which is all he may have wanted. Thank you for your beautiful and inspiring words about Fr. Matthew. My heart breaks for his family, for you, and for all who knew and loved him. I was just reading one of his last sermons, which was given last Wednesday- almost foretelling of his death. His final words of that sermon I copied below. It is better for me to die in Christ Jesus than to be king over the ends of the earth… The pains of birth are upon me. Allow me, my brethren; hinder me not from living, do not wish me to be stillborn… Allow me to imitate the passion of my God …when I shall have arrived there, I shall become a human being (Epist. ad Rom., 6). I attended college with both Fr. Matthew and Katie. This is truly heartbreaking. 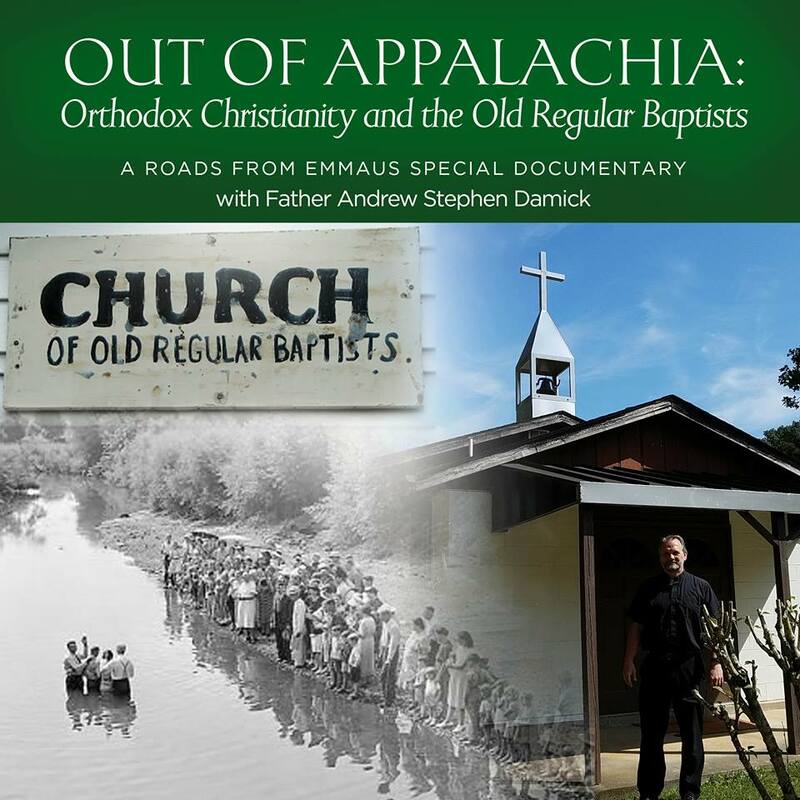 My email connection with Holy Resurrection Orthodox Church in Claremont, NH, provided me with the sad news of Fr. Matthew’s death. Love to his family from Missoula, Montana. May his memory be eternal! Memory Eternal! Prayers of strength for Fr. Matthew’s Family. Thank you for putting into words what so many of his brothers in the Lord are feeling, dear Fr. Andrew. May Fr. Matthew and Alexis’ memory be eternal and may the God of all comfort uphold Katherine and her beautiful children. So sorry for this loss. I did not know Father Matthew but learned of him through your beautiful tribute to him. He will be missed and remembered always I’m sure. Thank you so much, Fr. Andrew, for your beautiful tribute to such a remarkable, unforgettable man. May we all be deeply inspired by his life to continue, with even more resolve, “to speak the truth in love,” as he did in so many wonderful and wondrous ways. Thank you, Father, for this excellent meditation on the life of a man I only began to know, but instantly wished that I could know more and better. May his memory be eternal, and may the Comforter be ever with his widow and their children. May their names be inscribed and sealed in the Book of Life and may their memory be eternal. Thank you for writing this Father. I broke into tears when I saw the family photo at the end. I never had the honor of meeting Father Matthew, but in reading all the tributes from his colleagues, from dear friends, is a testament to his legacy. How tragic that he parishioners taken not only from his young family, from his new parishioners, from his dear friends, but also from Orthodoxy, from what he could have contributed and what he already contributed to serve so many. prayers for his family and for the rest and repose of his soul. I did not know Fr. Baker, but, please God, we will all meet him in the fullness of the Kingdom. I’m a Roman priest — a very touching and beautiful testament to your friend. A truly horrible tragedy. Please know of my prayers. I will remember him at the Holy Sacrifice as soon as possible. May he rest in peace. Memory eternal! Very sad news and a tragedy..we offer our prayers and condolences to the family, friends, parishioners and fellow clergy..these losses shock and sadden all of us…May the good Lord protect and bless the beautiful family Fr. leaves behind…Memory Eternal! Even though I have not had the blessing to meet Fr. Matthew I sense the grieving of the Orthodox community which I count myself among. Even though it does not make sense we need to continue to keep Presbytera Katherine & their children in our thoughts & prayers. May Fr. Matthews spirit live on in his six children. may his memory be eternal! We were blessed to know Fr. Matthew, Presbytera, and their beautiful children at Holy Trinity Greek Orthodox Church in Danielson, CT, where he spent the last couple of months before his permanent assignment in Norwich. Fr. Nick Milas, our spiritual father and priest at Holy Trinity, introduced Fr. Matthew and his family to our community. We immediately felt a strong connection and they were welcomed to our Holy Trinity family. He was a very special person. We were blessed to have known him and we pray for his life eternal.